This stunning one bedroom near new architecturally designed unit is situated just off Great Eastern Highway with stunning Centenary Park at your back door. 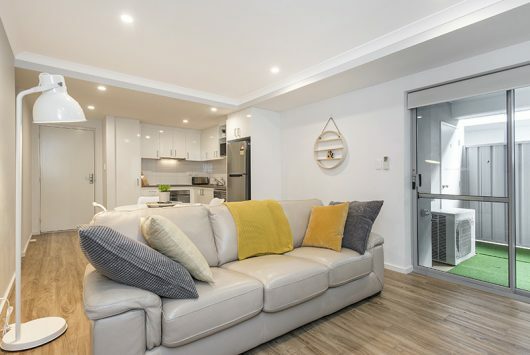 The unit is fully furnished ideal for first time home buyers or an investor wanting to take advantage of the short or long term leasing options. This apartment has open plan living and dining area with quality SMEG cook top, oven and built in dishwasher. The bedroom has a built in wardrobe across from the separate bathroom with hidden laundry. The alfresco is situated across from the living area is fully enclosed with an onsite storeroom for all your extra belongings. Secure gated complex and under cover car bay this property is a must see. For a viewing please contact the office today or attend a scheduled home open! 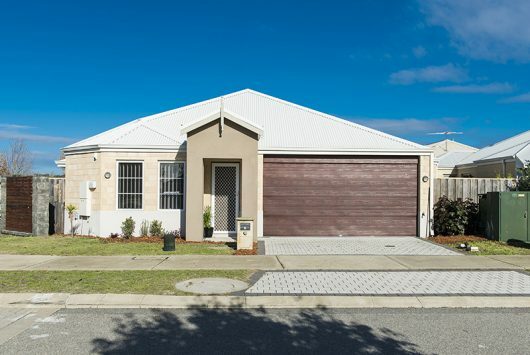 This three bedroom two bathroom ideally located property in the heart of Canning Vale close to schools and transport is a perfect family home. Easy to care low maintenance property has been freshly painted using neutral colours allowing you to transform the home to suite your own style. Featuring modern open design this property is light bright with room to entertain inside or flow out onto the alfresco area. Shoppers entry access for easy entry to the home via the double garage providing storage space for all your extra belongings. Master suite with ensuite and two good sized bedrooms to the front of the property. No strata fees this is a green title block. For more information on this property call the office today.